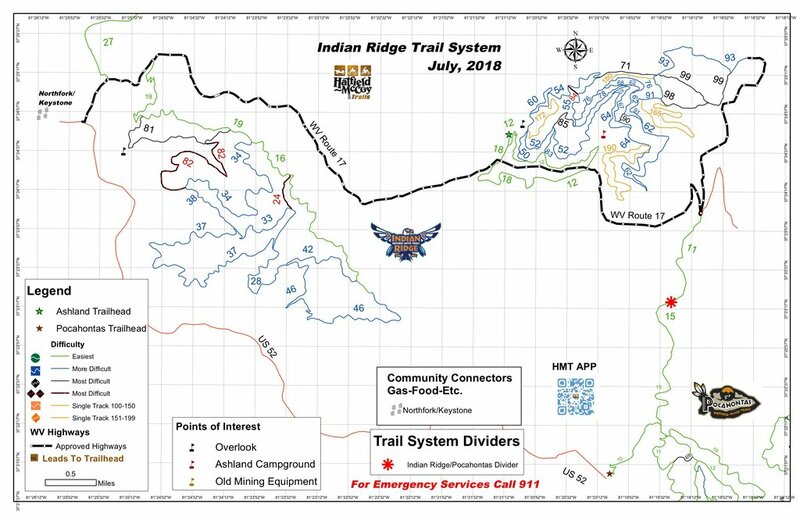 One-Third of the Largest Continuous Areas of the HMT network along with Pocahontas and Pinnacle Creek trail systems and connectors. Located near Ashland, WV, the Indian Ridge Trail System offers a nice variety of trails of all difficulty levels. This trail system offers community access to the ATV-friendly towns of Northfork and Keystone. Nearby communities offer gas, food, and lodging. The trail system also connects with two other Hatfield-McCoy Trail Systems—Pinnacle Creek and Pocahontas—to allow extended off-road trips.